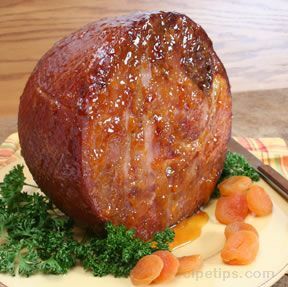 This ham is moist and succulent. My mother handed it down to me and I will pass it down too. It is simple, yet so very delicious. Because it is easy to make, anyone could dress a table that all will admire and enjoy. It goes well with potato salad, or with peas and cornbread, so you can serve it for special occasions, holidays or any given Sunday. Wash ham in cool water. Then pat dry. Place heavy foil in the bottom of heavy roasting pot. Foil should be long enough to seal the ham. In a separate bowl, pour pineapple juice over and coat the ham. Next randomly push the whole cloves into the flesh of the ham. If using the pineapple rings, garnish the top of the ham in decorative fashion. 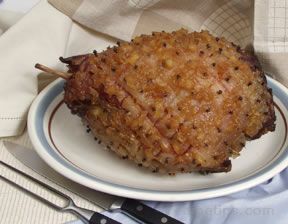 Coat the ham with the brown sugar and place in roasting pan inside the foil. Seal the foil around the ham. Place a cup of water in the pan. 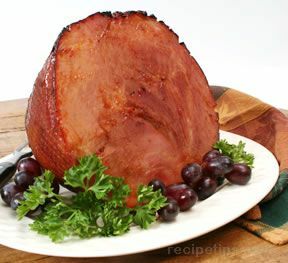 Cook at 375 degrees for a half hour per pound of the weight of the ham. Check for doneness at half done mark.